SAP Global Trade Services shortly known as SAP GTS is used for automate the international trades for a company. Large companies who trade with many countries and customers can use this feature to make their trades more fast and efficient and hassle free. 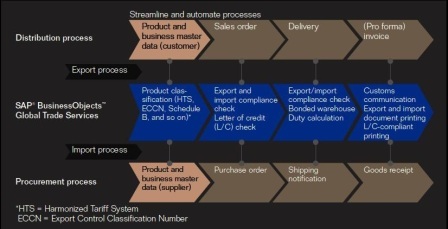 SAP Global Trade Services System is based on Netwevaer Platform. Risk Management: To minimize the risks involved with financial transactions. System Administration: Deals with settings and monitoring of the GTS feeder system.